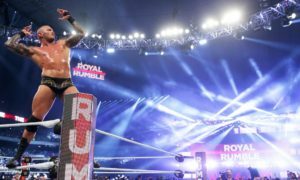 When Batista was introduced to the crowd on Monday Night Raw and was greeted by The Authority, it was a given he would make his feelings known to Randy Orton about the new unified world title and his intentions of holding the two belts. It was an almost clichéd scene but worked so well. A Batista/Orton rivalry could mean quite a bit of chaos within the Authority and could lead to a division of sorts within the power of its ownership. 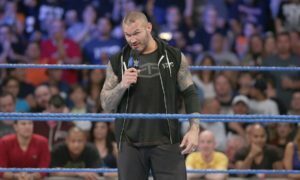 Could this in fact lead to Orton being thrown a curve ball where he is on one side of the ring with one of the McMahon’s and The Animal on the other? Does this feud – which could be something special, lead to a spilt in the McMahon family? I have been waiting to see what happens once the Authority angle got past the Daniel Bryan/Orton feud. What depth would it have? Who would become the next challenger? Who had stamina to take the fight to Orton and possibly disrupt the momentum of the program. Batista is the one “dog” in this fight who could cut the faction right down the line. Kane is on side, The New Age Outlaws are on another, somehow, Triple H could play into the Paul Heyman/Brock Lesnar side and of course there is Stephanie McMahon and the Shield that still have some energy to expend with this script. Things should be more clear once the Royal Rumble pay-per-view is complete. One thing is for sure – that John Cena will not walk out of the show with the unified title. I figure there will be some real surprises on Sunday. Batista will be involved. So will Brock Lesnar. Look for Sheamus to make his return to the ring. But here are some wrestlers who could make an impact. From the first slot in the Rumble, it will pretty darn neat to see how long he can survive in the ring. Punk was my pick to win the event and face Orton at WrestleMania. There has to be a split somewhere with The Shield and with the recent split in the faction, this would be an awesome opportunity to make that happen. I also have an idea that E Langston vs. Reigns for the Intercontinental Title would lead to a match with Dean Ambrose for unification of the two mid card titles. It also starts a great feud in 2014. The WWE must figure out what the hell to do with this guy. Two years ago, Barrett was going to be “the” guy in the company until a biceps injury all but destroyed him. Barrett is nothing more than a voice right now. Let’s get him back in the ring. And when he wins the Rumble, pair him with Sheamus as a powerful tag team with William Regal as their manager. He could be the biggest and most improved WWE superstar this year. The Prime Time Players are a niche’ tag team, but have no real depth and have no place to go. O’Neal needs to become a real force as a singles star in 2014. I am kidding about this one, but what is the WWE going to do with the former company great? 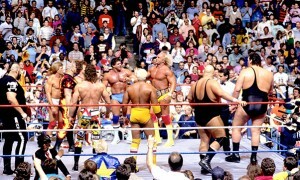 Hogan has no real place in this company – the same as Ric Flair. But Hogan has some appeal still and if he is included in the match, the WWE will allow him to eliminate a few superstars before he reaches the floor.